A Lasting Power of Attorney is a legal document that allows you to appoint a person or persons that you trust as an ‘Attorney’ to make decisions on your behalf when you become unable to do so either through loss of mental capacity or as a result of an illness or accident. You can make a Lasting Power of Attorney in relation to property and financial affairs or health and welfare decisions. If you become unable to make decisions relating to your affairs, an application could be made to the Court of Protection for the appointment of a Deputy. The person appointed as Deputy may not be someone of your choice and the application is much more time consuming and expensive than the appointment of an Attorney. 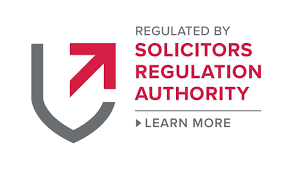 We can deal with the whole process from advising you to preparing the Lasting Powers of Attorney as instructed and dealing with their registration with the Office of the Public Guardian. The Court of Protection looks after people without mental capacity who have not prepared a Lasting Power of Attorney. An Application is made to appoint a member of the family, friend or solicitor to act as a Deputy to make decisions for those who lack mental capacity. We can deal with the whole process of making an application for a Deputyship, from initial advice to filing the Application. The process of making an application can be stressful, confusing and lengthy and we can take that stress away from you. Wills are at the centre of any succession plan and a badly drafted will can lead to costly and drawn out disputes. You may want to make sure that you provide for your family, appoint guardians for your children or ensure that your assets pass to the people or charity of your choice. Making a will can provide you with peace of mind. We will advise on how to ensure that your wishes are met. We will comprehensively consider all of your personal circumstances and we can provide specialist advice on what can be sensitive and difficult issues, including protecting against claims arising from either divorce or bankruptcy and setting up protective structures for vulnerable beneficiaries who, through mental and physical disability, may find it difficult to manage money.